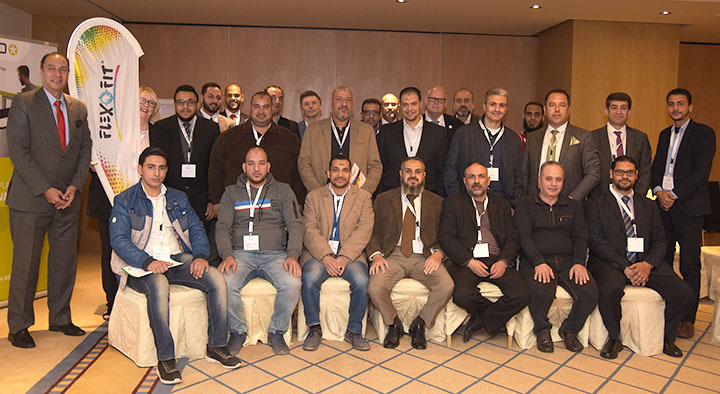 The Flexofit GmbH celebrates their 25th successful seminar in Cairo, Egypt on the 12th March. This first of a kind event in the Mashrek region drew a highly interested expert audience from all over Egypt to the capital. International company representatives from Chespa, Renzmann/TCS and Esko presented latest industry news and developments in printing and packaging. The plate supplier Lucky regaled the local top convertors and trade shops representatives with a lecture on printing plates. The home country of paper (papyrus was developed in Egypt 5000 years ago) has become a growing market for packaging in recent years. Huge investments in printing presses are happening, flourishing from a more professionalized production market in local consumer goods. A growth of 10 percent is expected for 2019. Although the country is perceived as developed, there are challenges: availability of high-quality paper and regular power outages, due to weak infrastructure of rural and urban areas. Also, there is a need for specialist knowledge around printing dyes and the flexo method and the further education provided in the seminar was warmly welcomed. The networking around the seminar was perceived to be fruitful and generating mutual benefits. The table top exposition and provided the interested audience with state-of-the-art samples and gave good grounds for technical discussions. Upcoming Flexofit Seminars in 2019 will take place in Africa and Asia. Planned are Algiers/Algeria, Nairobi/Kenya, Kampala/Uganda, Manila/Philippines, Bangkok/Thailand, Accra/Ghana and Riyadh/Saudi Arabia.